Solar and Water Proof. Throw in the water with no worries! The Hybrid Light products offer huge cost savings while providing light when and where you need it - every time! Great for recreational, occupational and everyday use that encourage emergency preparedness and help protect our environment. Durable, environmentally friendly, and guaranteed for life. My sons phone died and needless to say he charged it with the flashlight while camping! 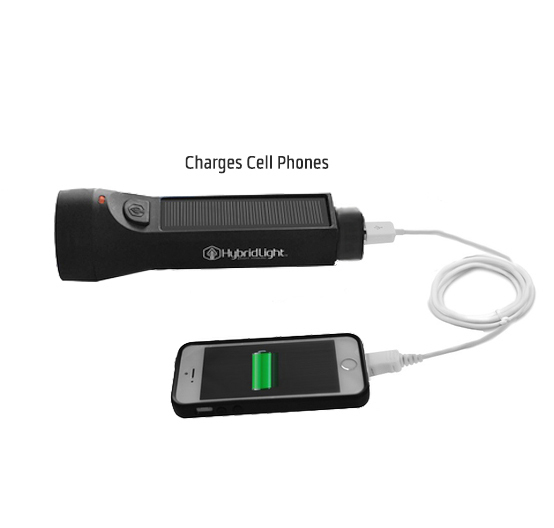 Click the button below to add the Hybrid Solar Flashlight & Charger- 160 Lumens to your wish list.